For information on St. John’s nightlife, restaurants, attractions, and more, scroll down through the menu on the left side in our Visitor Guide. We offer the inside scoop on which beaches to visit, eco tours to explore, and spas to relax. Then, browse our homes and see which rental is right for you and your ideal vacation experience! When getting ready to experience St. John nightlife, you will have plenty of great bars to choose from. From beach bars right on the sand to wine bars for lounging in the center of town, partying is paramount on St. John. Cruz Bay is a favorite location for going out at the end of a beach day. You will discover great St. John nightlife at The Tap Room, along with fresh beer on tap and hand-crafted root beer, which can be blended with dark rum. Cruz Bay Landing is a great location to enjoy an island cocktail while playing shuffleboard or watching people stroll the park in the center of Cruz Bay. The Beach Bar also marks the spot for some great St. John nightlife. St. John USVI bars wouldn’t be complete without this favorite scene. One of the best parts about St. John nightlife is that it lasts the entire day! You don’t have to go out in the evening to discover a party scene on the island. You can be lounging on the beach in the middle of the day and walk over to a bar for a frozen daiquiri. “It’s 5 o’clock somewhere” is one of our favorite mottos. We want you to unwind and have a stress-free vacation on the beautiful paradise that is St. John. You deserve it! St. John nightlife would not be complete without delicious island cocktails, beers, and wines to enjoy along with your evening out. The famous Bushwacker cocktail is just one of the many delicious island beverages. You will also discover some delicious tropical rum drinks, fruit daiquiris, and Virgin Island-brewed beers! Let the island flavors take over your taste buds, and learn to appreciate these delicious Caribbean drinks during your vacation. 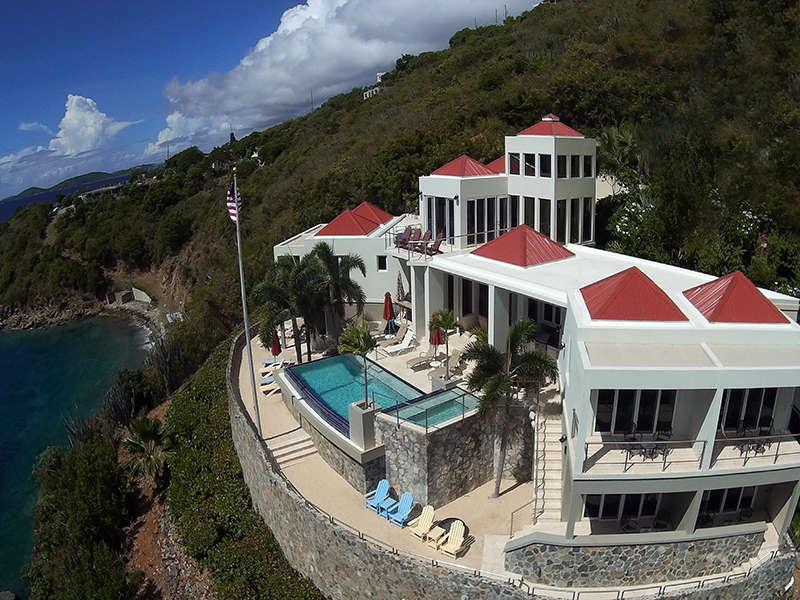 CimmaronStJohn offers a variety of private vacation homes around the island. Whether you’re in St. John on a honeymoon or anniversary with your loved one or on a friend-cation, our private homes make great retreats. They are the perfect places to return to after a fun night out on the town. From a full kitchen to prepare a late night snack to comfortable bedrooms and refreshing showers, our homes have all you need and more. Our luxurious amenities, from private pools to outdoor verandas, will make your St. John getaway an unforgettable experience!